I was reading through some posts on Facebook the other night when the question was asked, ‘What is there to do in Melbourne for Families?’ The last time we visited Melbourne our kids were only 11 and 10. We had just five days and some of that time was to be taken up with catching up with family. But we wanted to be able to fit in as much as we possibly could in the time that we had. We caught a very early flight down from the Gold Coast on a Thursday in early March and we were shocked to find we couldn’t land immediately because of heavy fog. When we got off the plane and went outside to collect our hire car it was freezing so I was very pleased that I had bought some warmer clothes with us. 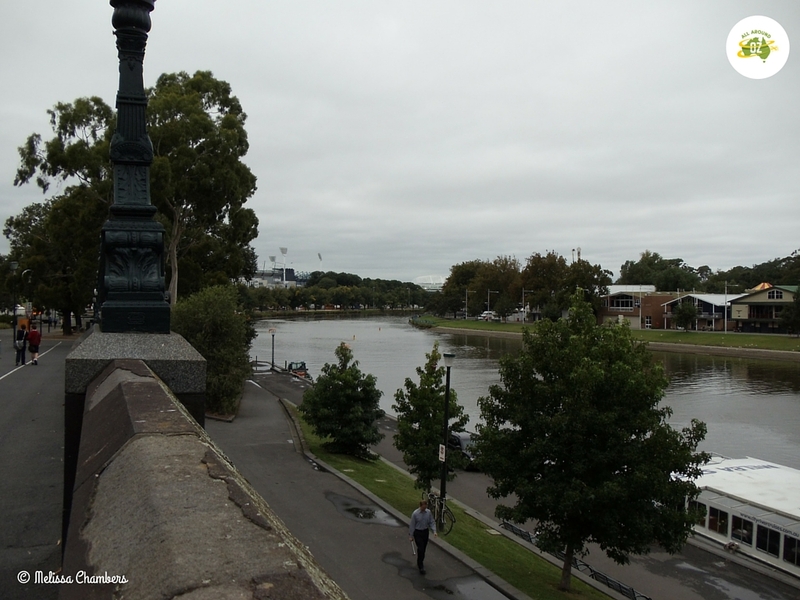 I had found an awesome apartment right opposite Albert Park. It was in an older Art – Deco style building and was so central to everything and was a lot less expensive than staying in a motel. 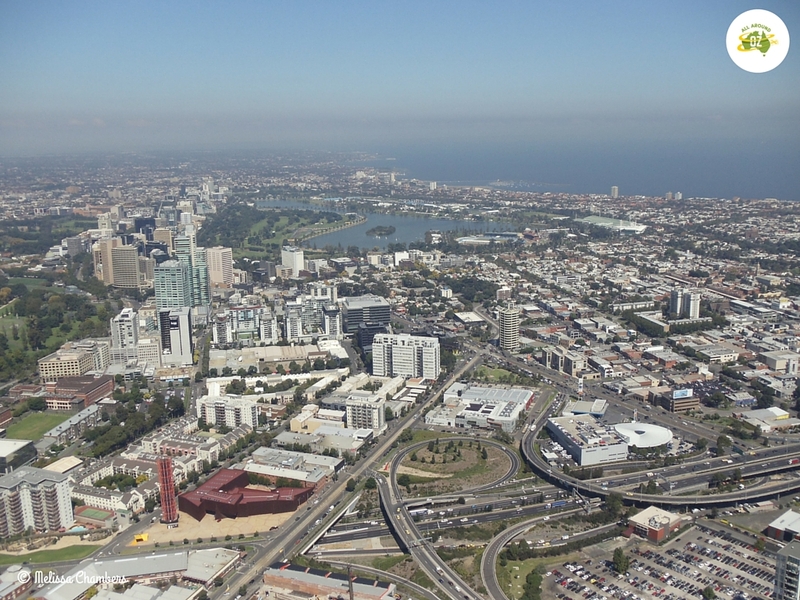 Albert Park is where the Australian Grand Prix is held every year. Straight across the road was the Melbourne Sports and Aquatic Centre, home to the 2006 Commonwealth Games swimming events. So what did we get up to for our five day stay? After picking up our hire car at the Airport we needed to fill in a bit of time before we could check into our accommodation so we headed into Melbourne City to look around. The centre of Melbourne is, like most Australian cities, a wonderful mix of old and new. 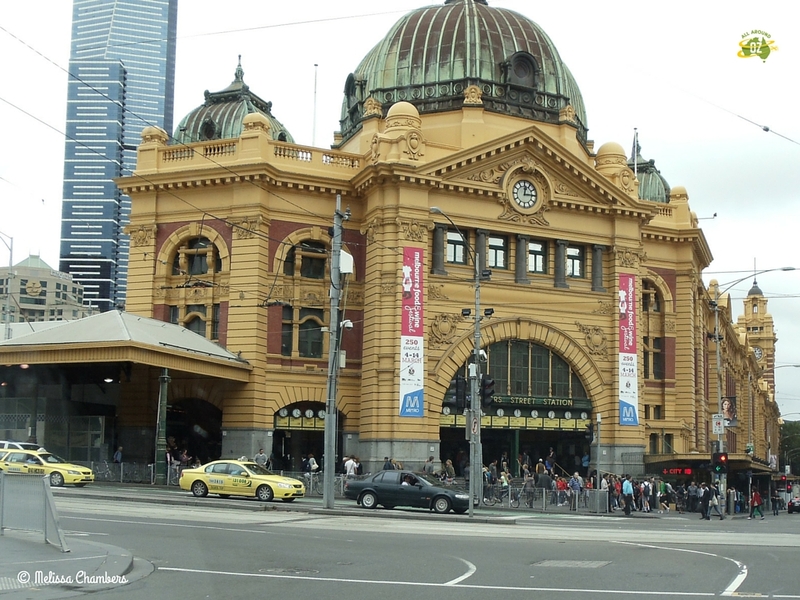 The most iconic landmark is probably Flinder’s Street Station which was completed in 1910 and services the entire Melbourne metropolitan area. Melbourne’s beautiful Flinders Street Station. Directly across from there is Federation Square – a fine example of modern Melbourne with it’s many cafe’s, bars and restaurants it is Melbourne’s cultural and tourism centre. Just across the road is Hosier Lane famous for it’s street art and perhaps one of the most photographed places in Melbourne. 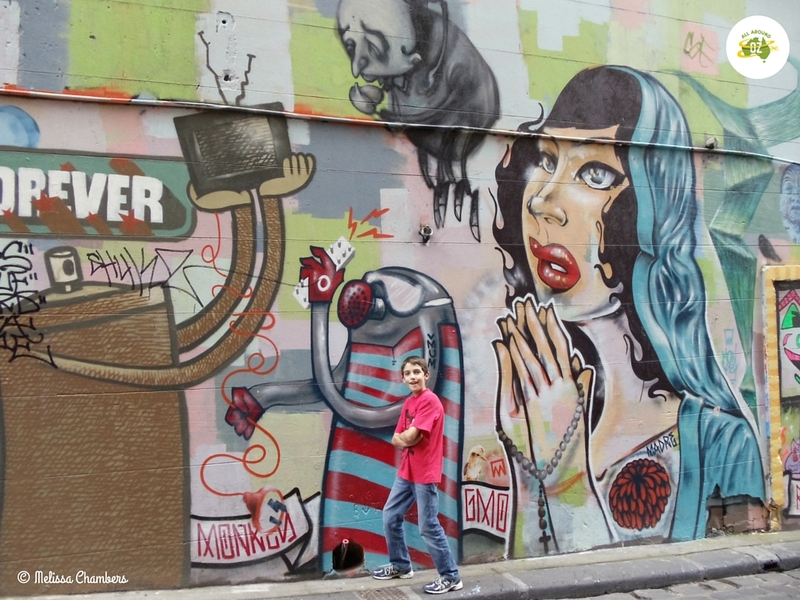 Ben thought the street art in Hosier Lane was very cool. Wander in the opposite direction and you will find yourself on the banks of the beautiful Yarra River. There are walking/cycle tracks that run along it, loads of cafes and bars or you can take a river cruise to explore a bit further. Melbourne’s Yarra River is the perfect place to walk along or to find a spot for a beer. After spending the best part of the day exploring the city we went and checked into our apartment and then set off to explore the area a bit more. It wasn’t long before we found ourselves at Port Melbourne where the Spirit of Tasmania leaves from. There is a boardwalk there and you can walk right up to the end and watch the ferry being loaded. Our last stop for the day was Luna Park. 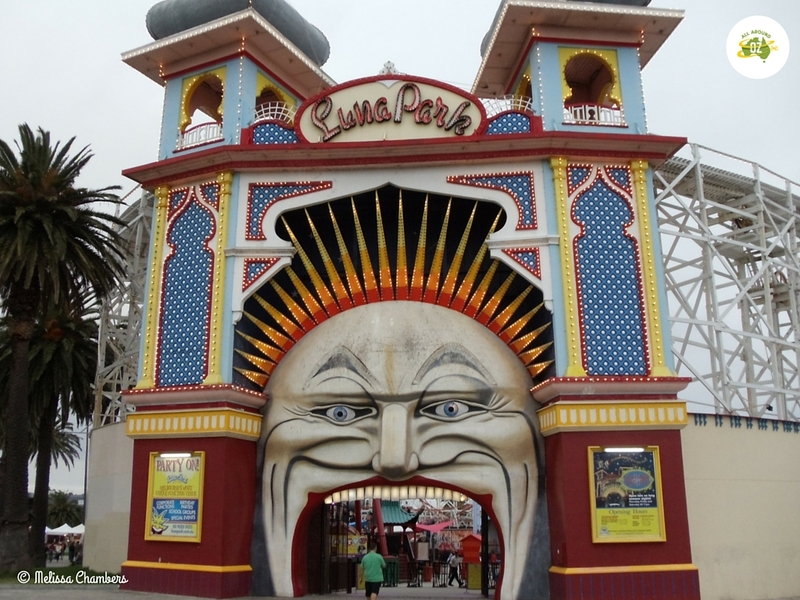 You really can’t visit Melbourne (or Sydney for that matter) without going to Luna Park. Although it was getting late and it was cold and we were all tired the kids couldn’t resist a couple of rides to finish the night off. No trip to Melbourne would be complete without a visit to Luna Park. One of the best things about Melbourne is the excellent reputation it has for great food and we found this to be true. We had no trouble finding some exceptionally fresh fish for a take away dinner back at our apartment and all just a couple of blocks from where we were staying. Friday dawned bright and blue with no hint of the chill that had been in the air the previous day. We again headed into Melbourne City but this time we parked at the Docklands precinct before catching one of the free City Circle trams into the CBD. These are beautiful old trams that run on a continuous loop and are just a fantastic way to see the city at a leisurely pace. 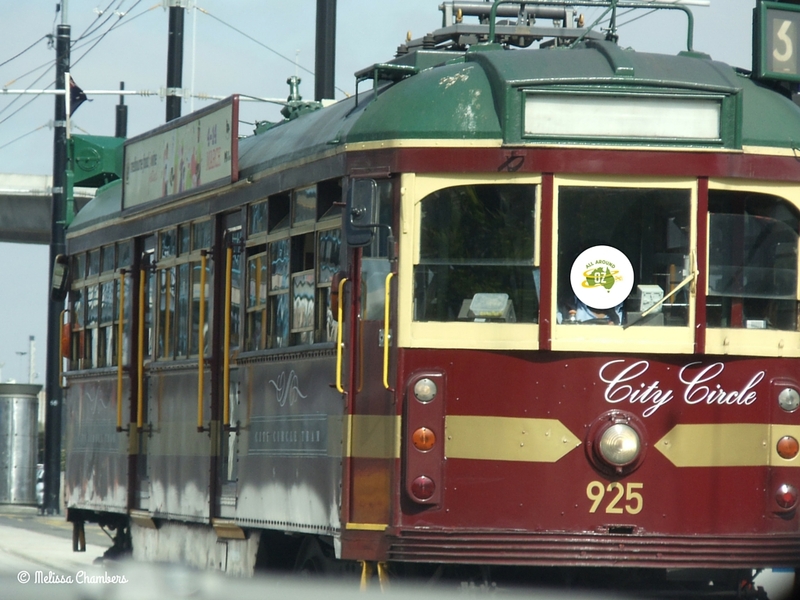 Melbourne City Circle Tram is a free service and you can hop on and off when ever you like. Once we were in the city we headed to the Eureka Tower. At 300 metres tall it is just a touch shorter than Sydney Tower but the 38 second elevator ride to the top makes you think it is much,much smaller. Once on the Skydeck the views are nothing short of spectacular and if you have no fear of heights why not walk out onto The Terrace enclosed viewing area. I can tell you Miss Oz had the firmest grip on my hand the whole time we were out there. The other must do experience whilst you are there is The Edge. The Edge is a glass cubicle that slides out from the side of the building and gives you floor to ceiling unobstructed views of what is above, below and in front of you. Miss Oz declined to partake in this experience so it was up to Brenden and Ben to step out onto the glass. Our last stop for the day was dinner out on St Kilda Road one of the main restaurant precincts in Melbourne. As it was Miss Oz’s birthday we let her choose where to go and we ended up having Italian, although there were so many places to choose from we could have chosen several different types of cuisine. Saturday we decided to go our separate ways. Brenden and Ben headed off to Scienceworks which is an interactive science and technology museum. Kids get to be hands – on scientists and learn at the same time. It is also home to the Melbourne Planetarium where you can learn about astrology and the night sky as it appears at the current time. Maddi and I opted to head to one of the many markets that are located throughout Melbourne. The Queen Victoria Markets are the largest and most well known. We opted to visit the South Melbourne Markets as they were closer to where we were staying. These markets are a great mix of food, clothes and fresh produce. They are also undercover – handy in Melbourne’s unpredictable weather. In the afternoon we checked out the Melbourne Aquatic Centre which was right across the road. This massive indoor centre is heated (of course). It has an Olympic size pool, diving pool, water slides and a wave pool. We then headed off to our family birthday party for the night. Sunday morning we spent some time exploring the Esplanade Markets at St Kilda. These open air markets were a lovely mix of arts, crafts and food. An ideal place to pick up a special gift or something nice for yourself. We then headed off to lunch with friends at the West Beach Bathers Pavilion which is located right on St Kilda Harbour. The Pavilion was built in the 1920’s but by the late 1990’s it had fallen into disrepair. After seven years of careful restoration it has been restored to it’s former glory. It really is a lovely spot to enjoy a casual lunch with friends. Sunday afternoon saw us head to Melbourne Zoo for the Zoo Twilights. 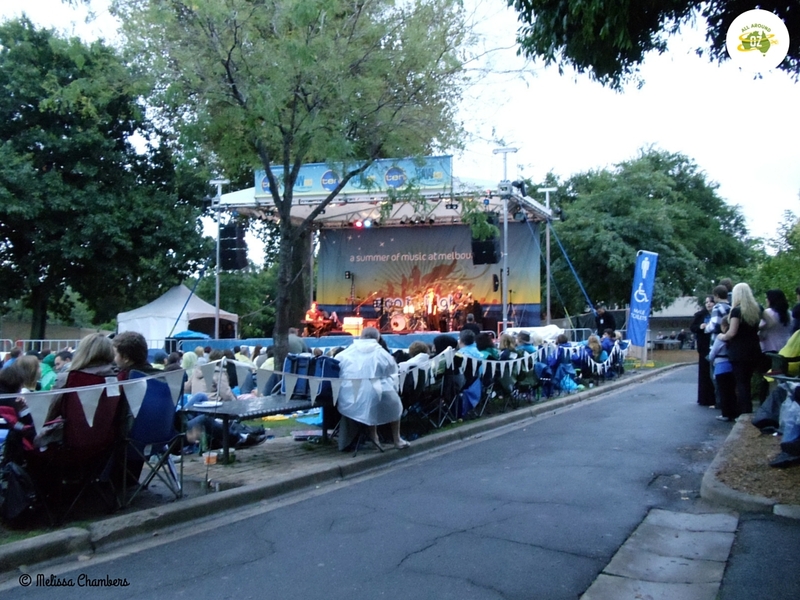 A series of concerts over the summer months featuring some of Australia’s best artists. We saw Daryl Braithwaite but not before we’d had a chance to wander around some of the animal exhibits. It was a little off-putting listening to the nearby growls of the lions as darkness descended upon us. But as far as settings for an outdoor concert go, this one was awesome. I would highly recommend going to one if you ever get the chance. Melbourne Zoo is a truly unique spot for a music concert to be held. 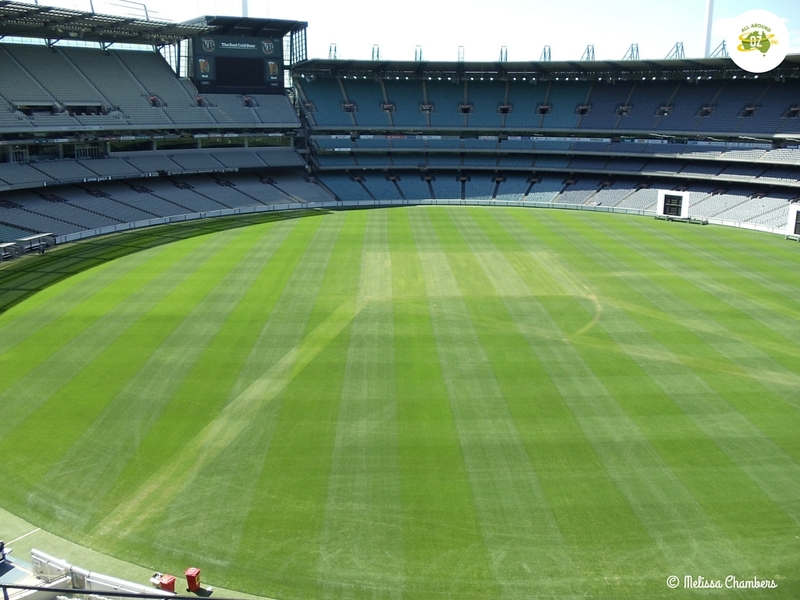 Perhaps my favourite part of our visit to Melbourne was our tour of the MCG – the Melbourne Cricket Ground. Even if you are not a huge sports fan, you will be absolutely gob-smacked by the size of the MCG. In this access all areas tour, you will join a small group led by a volunteer tour guide. Our guide was an incredibly knowledgeable lady. She knew all the ins and outs of what is in effect a small town. From the players dressing rooms, to the cricket practice nets, to stands, Members only area and then to the hallowed turf of the ground itself you will get to experience it all. You will need to allow a good couple of hours for the tour. Arguably the most famous sporting ground in Australia is the Melbourne Cricket Ground. Outside the MCG you will find a number of statues celebrating our sporting greats. There is also an Honour Board for all the athletes who won medals at the 1956 Olympic Games which were held in Melbourne. Underneath the MCG is the National Sports Museum. This is well worth a visit as well. It covers a wide variety of sports including tennis, football and athletics to name just a few. You can buy a combined tour ticket which works out much cheaper than buying them singly. 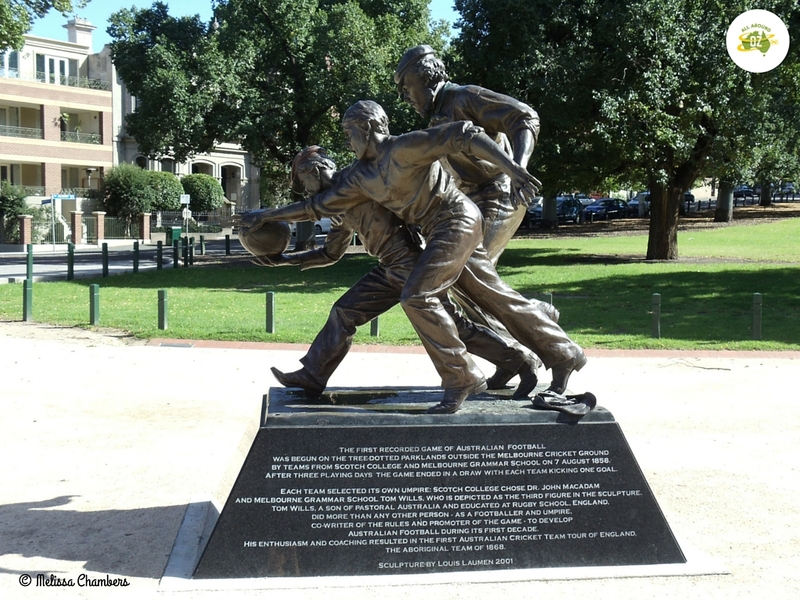 This statue recognises the first ever game of Australian Rules Football. So there you have it! There really is lots on offer in Melbourne for Families. Isn’t it time you made the trip? Melissa thank you for sharing! What a lovely article and the photos are amazing too! I love how you put together these information on “Melbourne for Families”. Easy to read, very relatable and great tips! Can’t wait to read more! I absolutely LOVE Melbourne, I find there is so much to do for everyone! There ONLY downside is the unpredictable weather – which is very inconvenient especially when you have tiny kids. Yes…there is that aspect to contend with! Thanks Julie…I enjoyed writing it. I had forgotten how much we did in the short time we were there. Can’t wait to go back.